Webinars have developed as the most innovative way to engage with your audience at a massive scale in a very intimate way. Whether your purpose to use webinars is selling a product, teaching a course or train employees, there are so many applications. The concept of webinar is based on one or two presenters giving something valuable to their attendees. It is usually carried out live, but it can be automated as well. The live streaming aspect of webinars has become very advanced nowadays. You can literally have hundreds to thousands of people watching you live on the webinar, and the two presenters need not be in the same physical space as well. If that’s not powerful technology, I don’t know what is. Some webinar software tools usually tend to place more focus on quirks of streaming and making sure that the experience is as seamless as it can be. However, these webinar software tools are so focused on the technology that they fail to acknowledge a business’s actual set of needs. The experience of webinar, for both you and your attendees, will be contingent to the quality of software you end up installing, so you’ll want to make this choice wisely based on your specific needs. 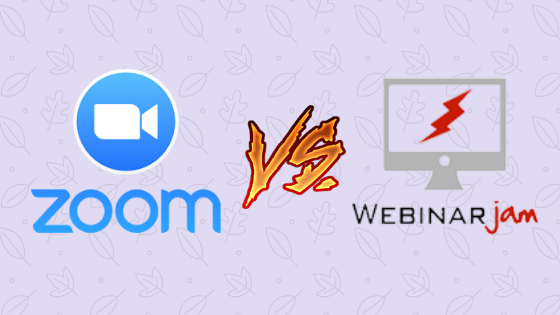 In this article, we’ll do a comparative analysis of Zoom Vs WebinarJam and come up with a better insight on the two leading softwares and see which one is more efficient to use. Why Webinars have become so popular? Before we jump to the comparative analysis of Zoom Vs WebinarJam, we should first understand why webinars have grown so popular among online media promotion techniques. SAAS (Software as a service) companies such as Cloud 9 Analytics, CVM Solutions, etc. and B2B business models along with upmarket products tend to benefit from the visible advantages of high touch and long duration of webinars. In fact, these types of business platforms sell a robust and relatively expensive product more conveniently that requires proper explanation and crucial promotion. However, webinars aren’t particularly useful for e-commerce companies. Companies like Everlane, Dollar Shave Club, Parker Warby, etc. that is selling low cost products may not necessarily benefit from the extensive touch of webinar software. In the opinion of industry experts, bloggers, academicians, etc. WebinarJam is being regarded as the impeccable combination of quality design, user experience, and endless functionality & features. Built on top of the crumbs of RTMP, WebRTC, HLS, Flash and the other latest web technologies, it exhibits smooth running on any browser or device. The cleanest webinar software in the market, you can use it for activities like coaching, consulting, promoting new products, hosting Q&A’s with your audience and even for arranging a meet-and-greet with fans. Attendees can virtually raise their hand during the session, allowing the leader to exercise greater authority over the collaborative classroom setting by ensuring everyone is getting a chance to share thoughts and opinions. In addition to this, Zoom also includes a chat utility that can be used to communicate effectively with the session instructor or with other attendees. Now that we’ve briefed you about both the apps, let’s move on to the comparative analysis of Zoom Vs WebinarJam. If you’re carrying out a webinar on Zoom, you’ll need to install their software. This can be an excruciating process for people who are using this for the first time, because they’ll have to follow a number of steps to launch the software on their Linux-based, Mac, Windows or Ubuntu operating system. Meanwhile, a webinar on WebinarJam can be done on a simple browser by visiting the URL when attending a webinar. The advantage here is completely in favor of Zoom because of the HD video/audio quality. In case of live webinars with Zoom, you’re recording it locally on your own computer, so the recording quality would be better. There’s no compression of the audio file as you’re not uploading it simultaneously while recording. You also don’t need to worry about the internet bandwidth that usually has an impact on your recording. On the other contrary, the WebinarJam video streaming feature is built on the concept YouTube Live broaddcasting, which means you’ll not get the highest quality audiovisual signal since it’s compressed while you are recording your webinar. On the contrary, WebinarJam costs around $497 per year (which is $41.42 per month) and provides for unlimited attendees. In today’s word of internet advancement, you have to connect in a real and more life-like manner to engage your audience and convert them into buyers. Webinars (also referred to as webcasts or web conferences) occupy a prime position among modern technologies for such online promotion. In conclusion of Zoom Vs WebinarJam, the key takeaways from this article is that WebinarJam can do everything the Zoom Webinar can, and it has better marketing features like pre-configuring video injections which make online selling easier. 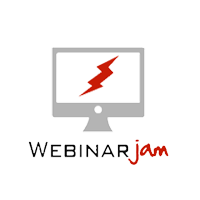 So if your business requirement involves heavy use of webinars for marketing purposes, then WebinarJam is the go-to software for you. Similarly, if your software requirement involves frequent internal and external meetings, then Zoom is the best app available on the market. Hence, it is recommended that people should try out both the apps first to see which one suit their business needs the most, and then decide to switch accordingly.